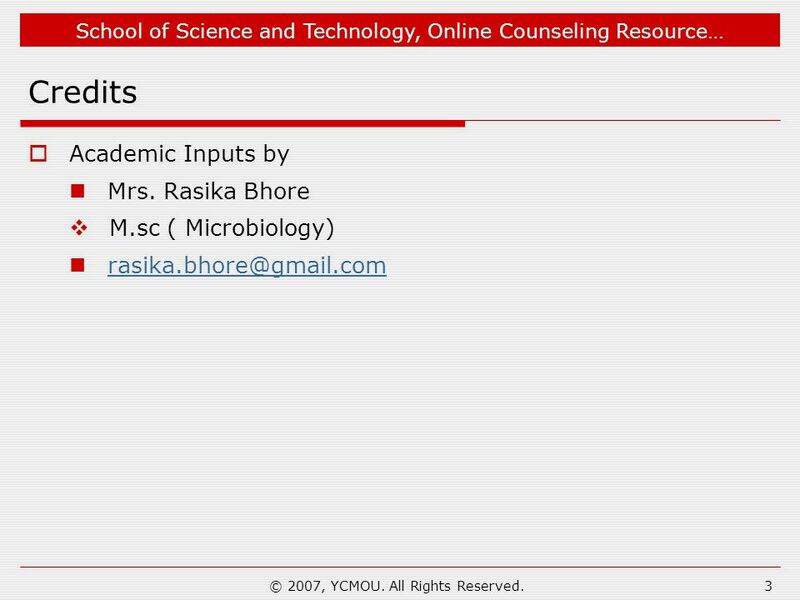 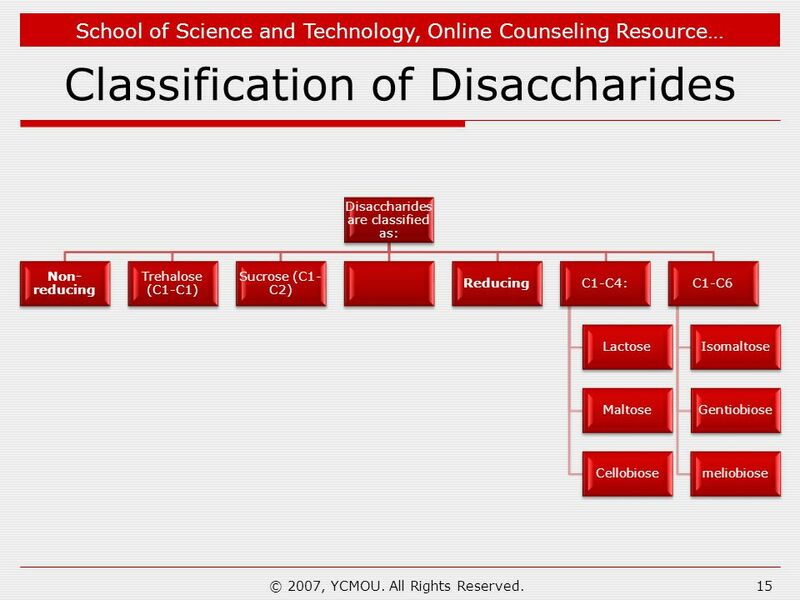 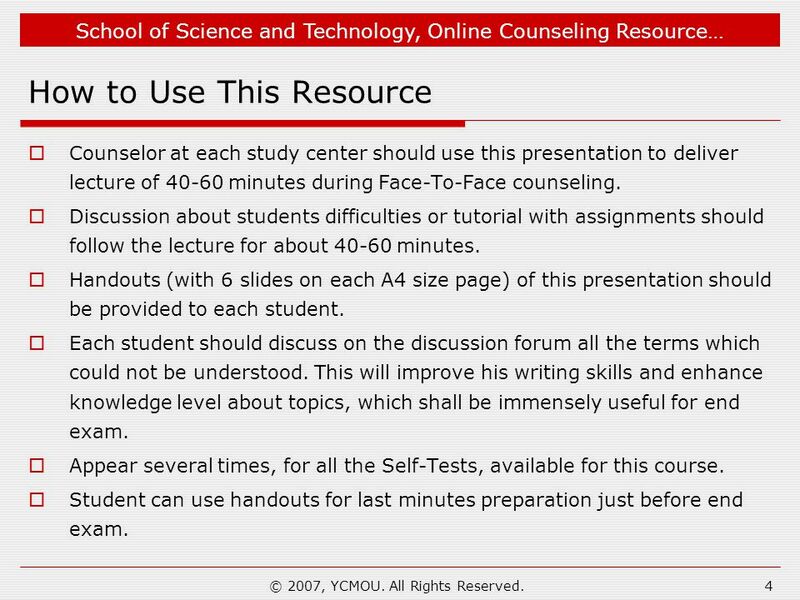 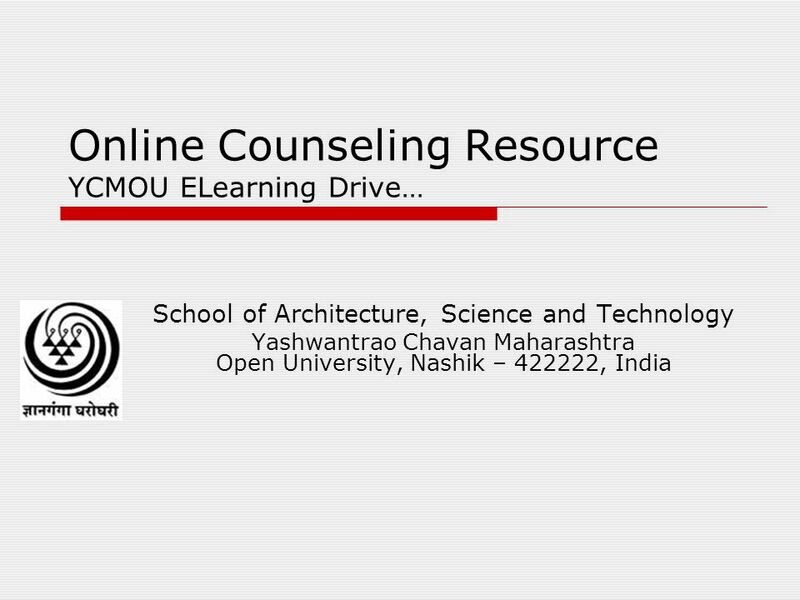 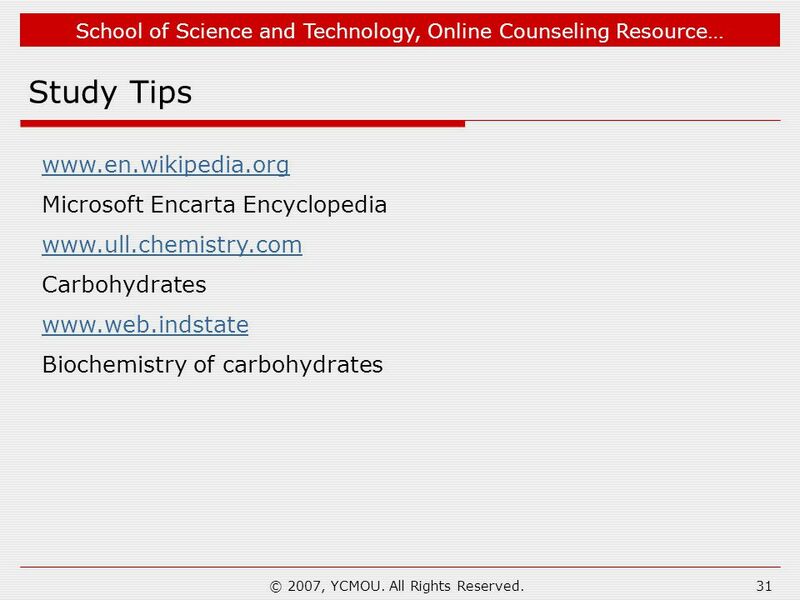 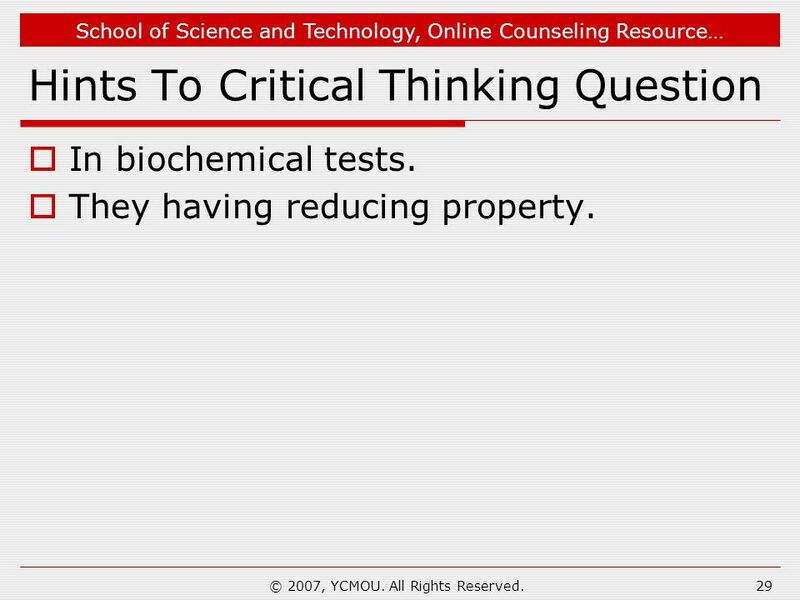 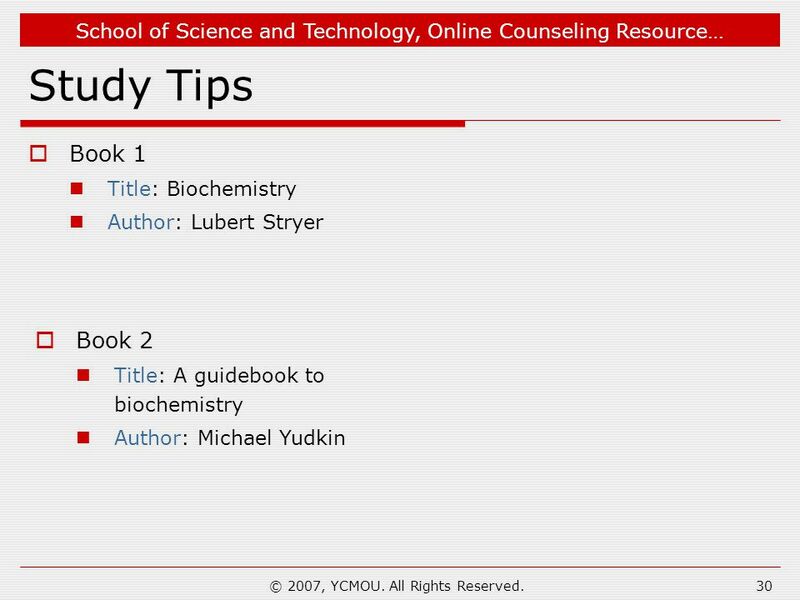 5 School of Science and Technology, Online Counseling Resource… © 2007, YCMOU. 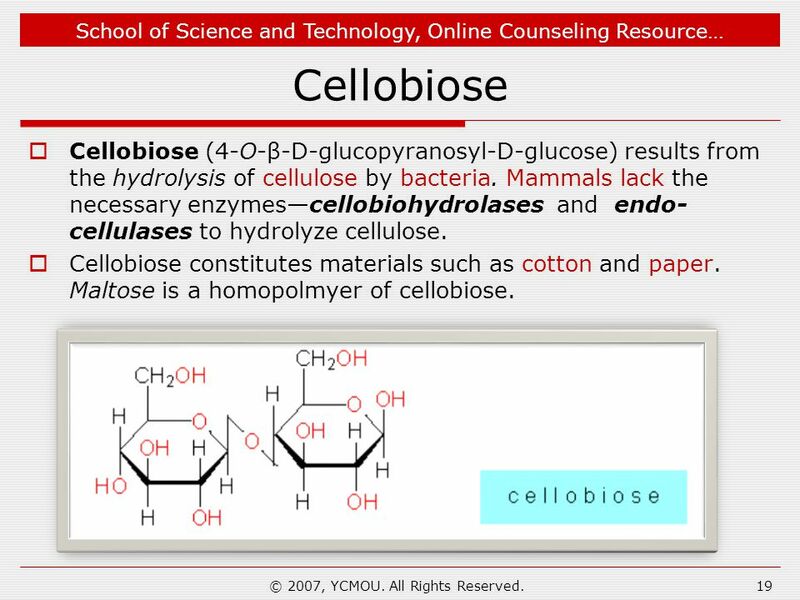 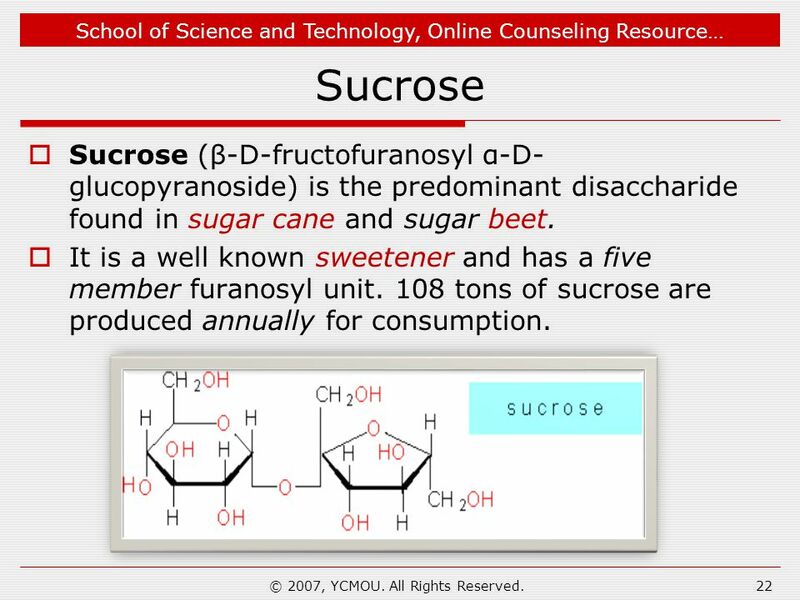 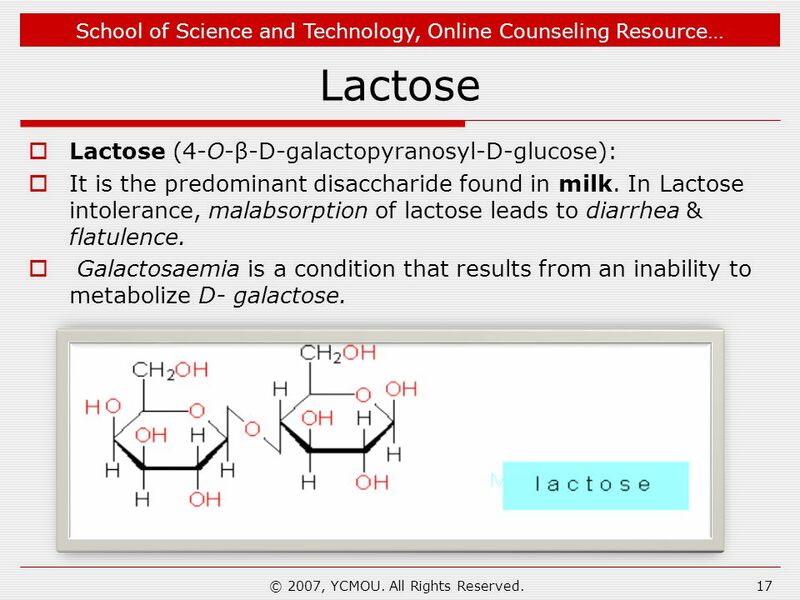 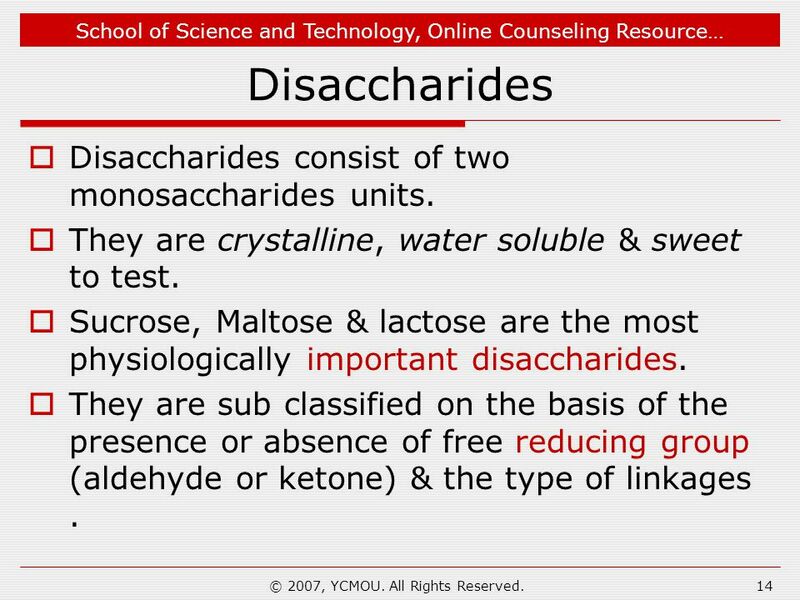 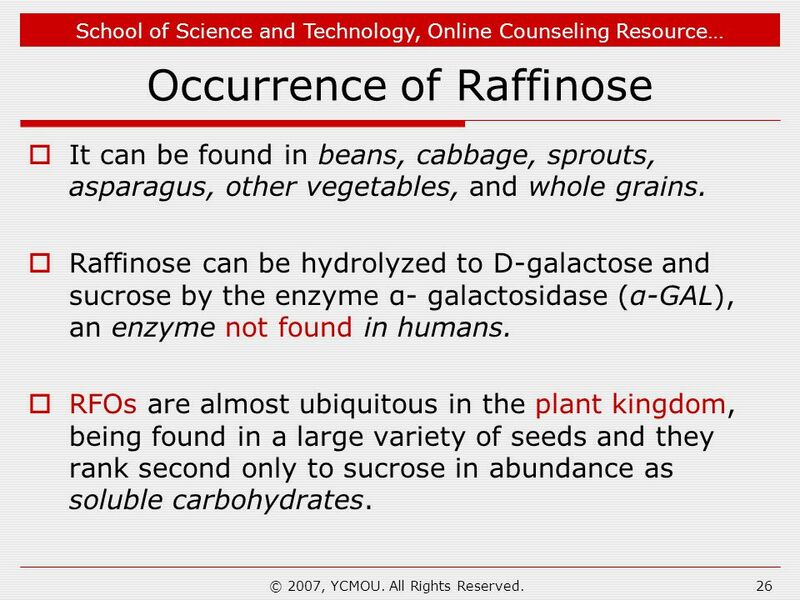 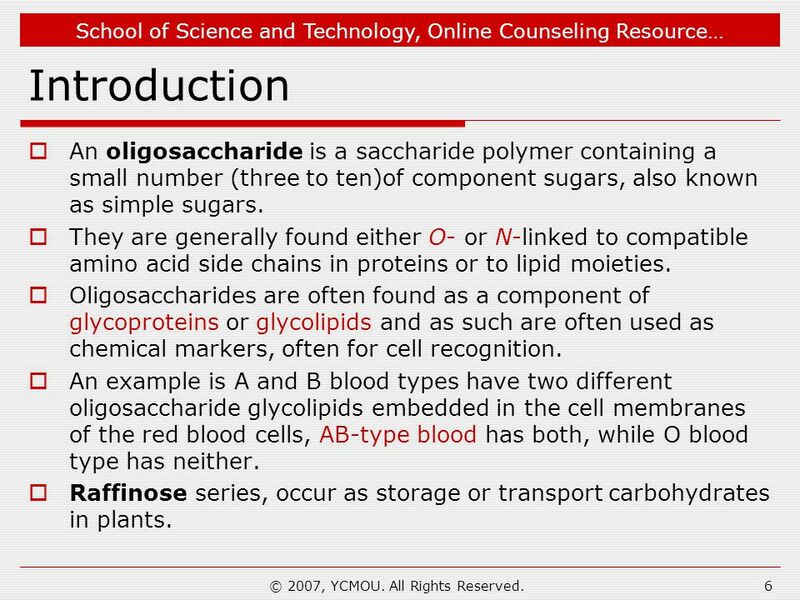 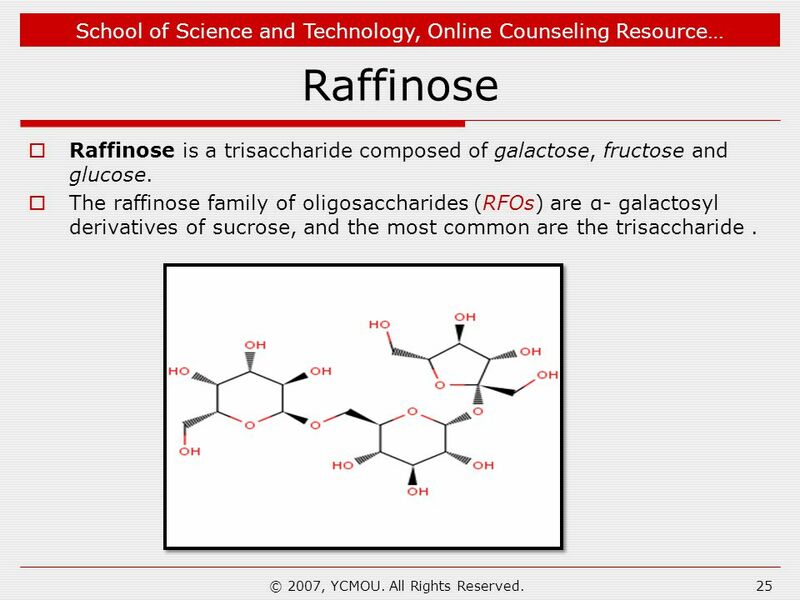 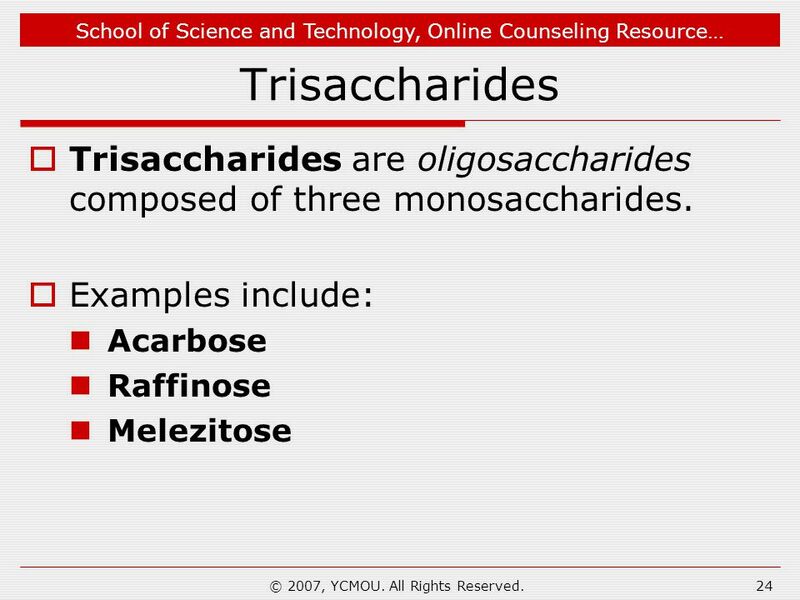 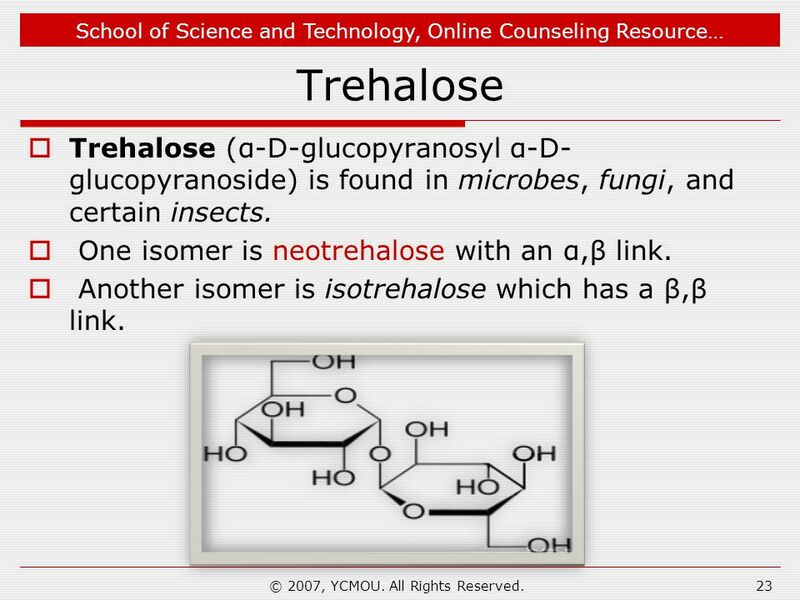 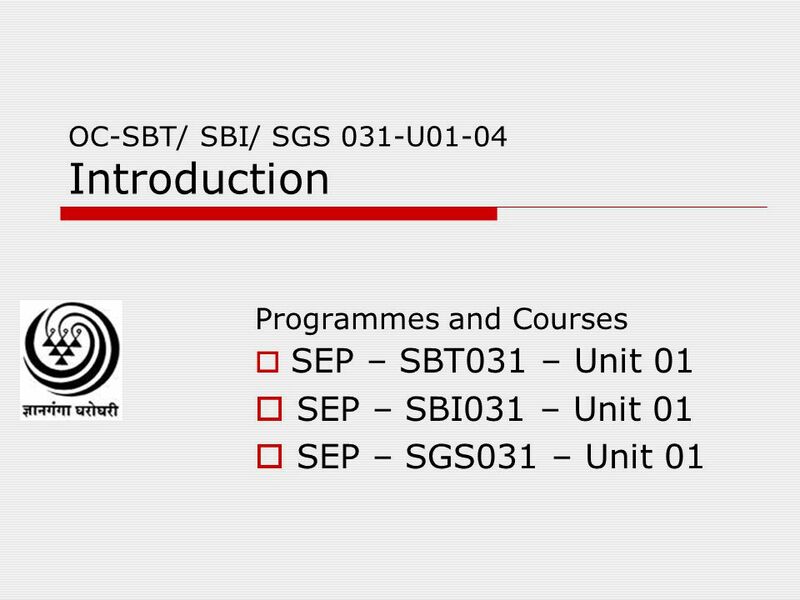 All Rights Reserved.5 Learning Objectives  After studying this module, you should be able to: Describe oligosaccharides, mainly disaccharides & trisaccharides. 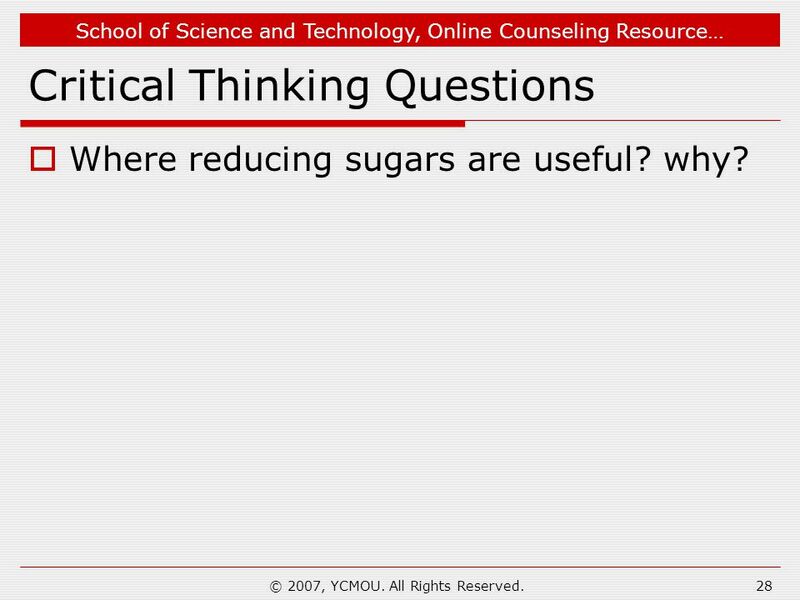 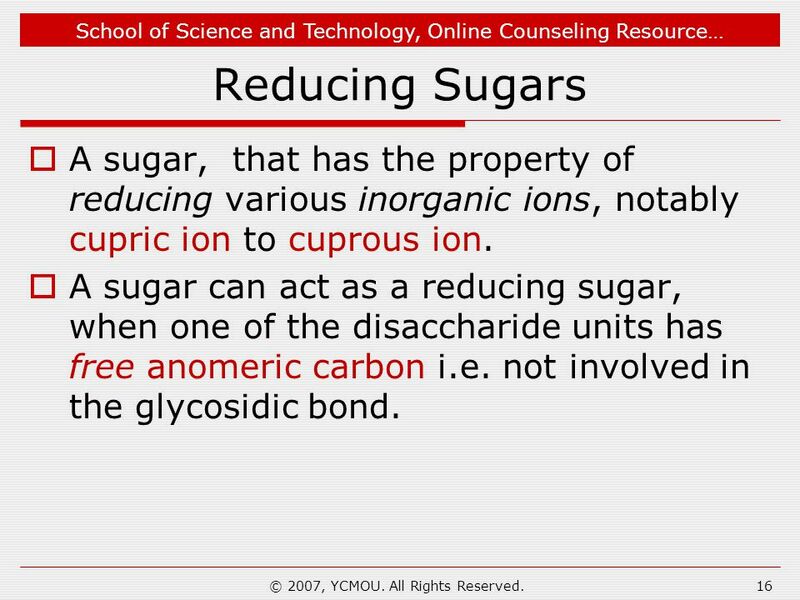 Discuss the reducing & non-reducing sugars. 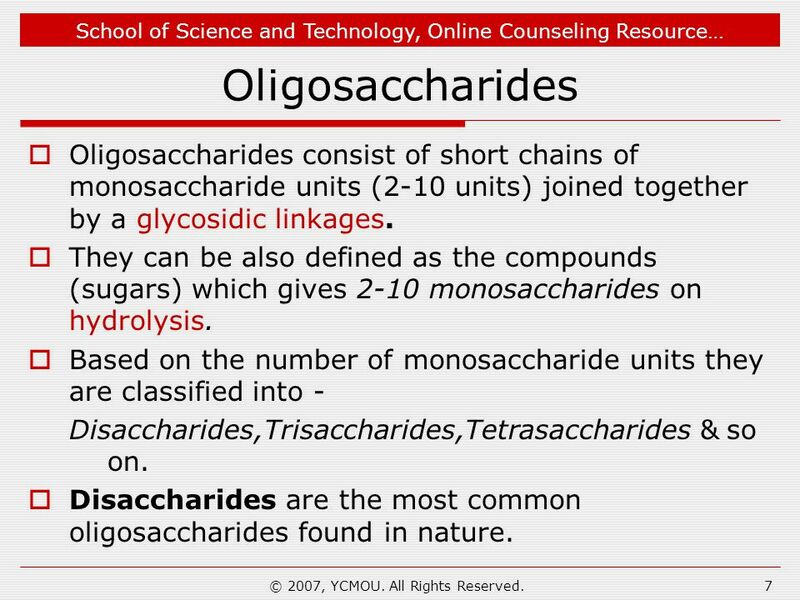 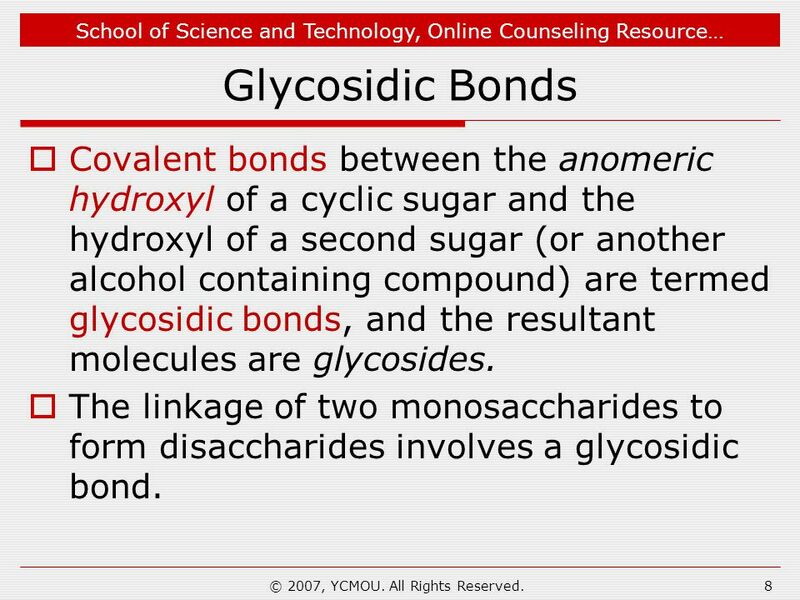 Describe the formation of glycosidic bond between oligosaccharides. 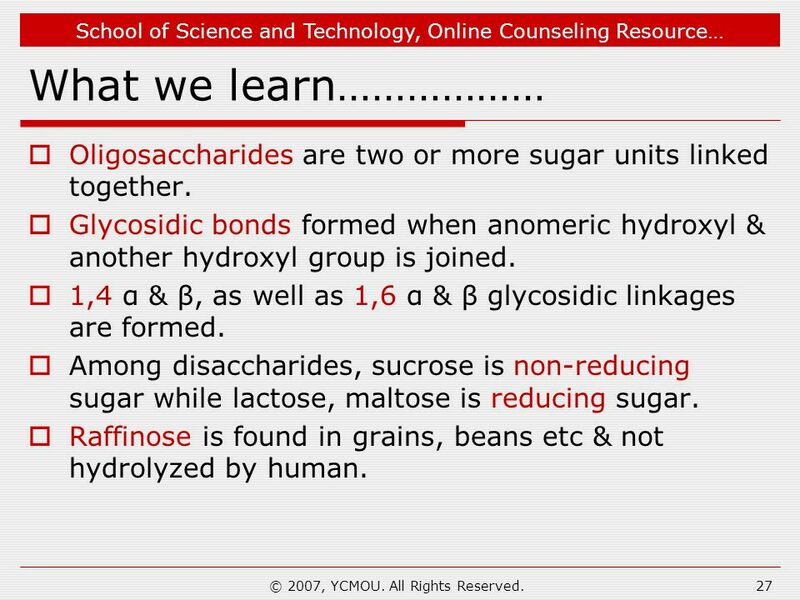 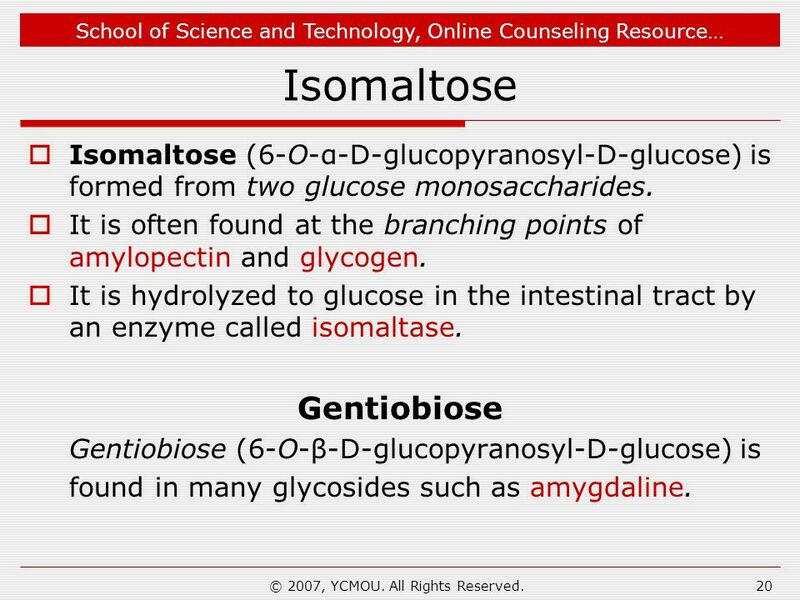 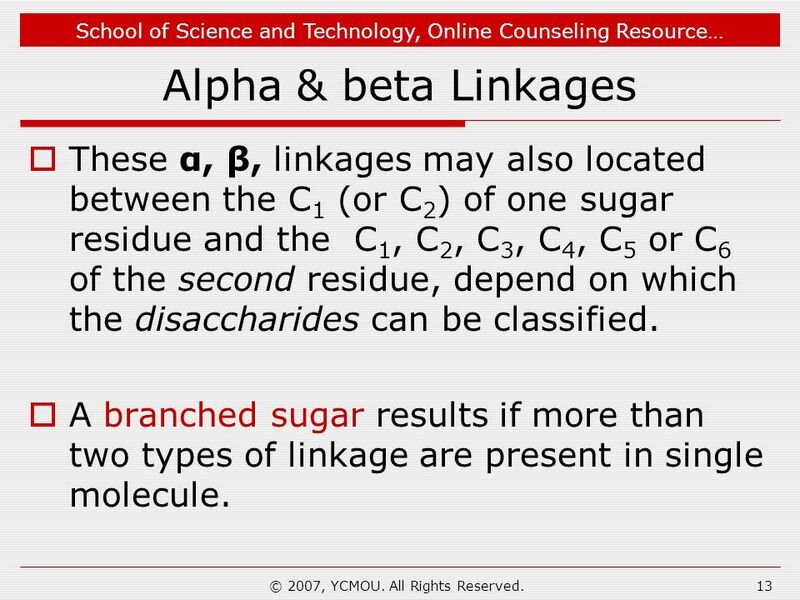 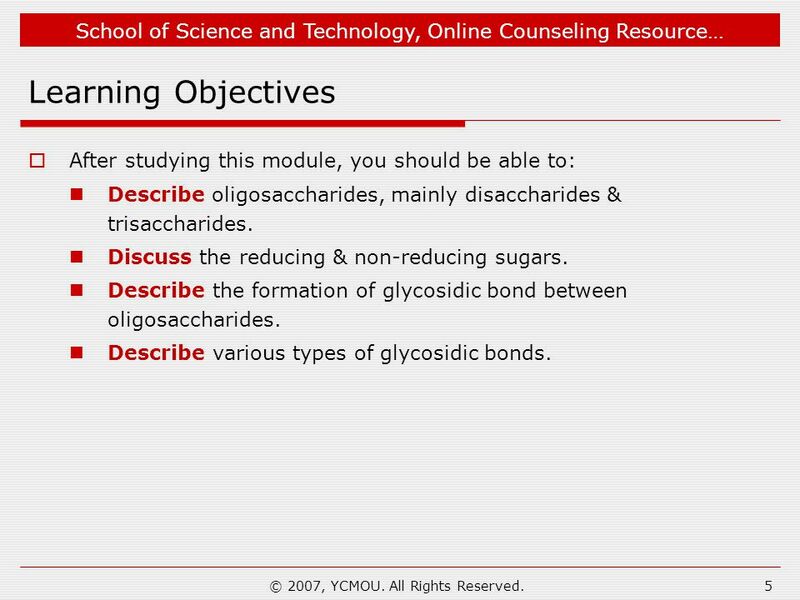 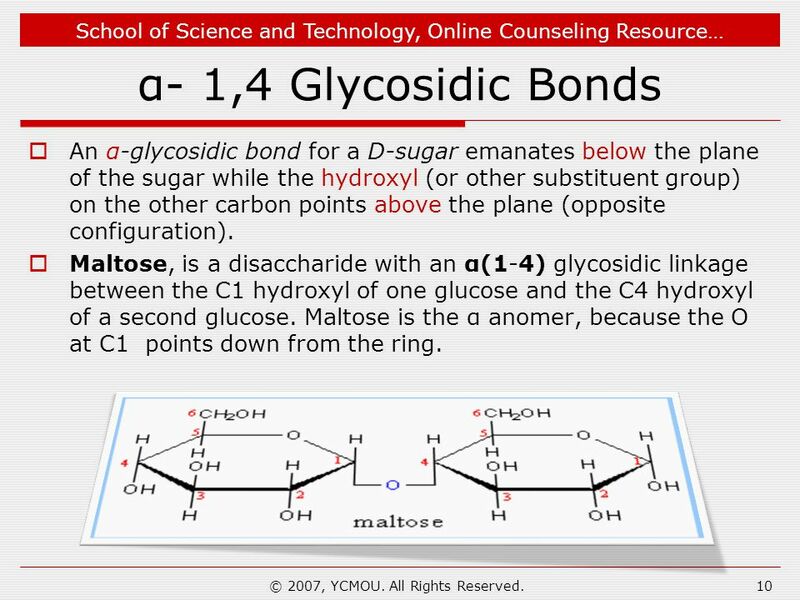 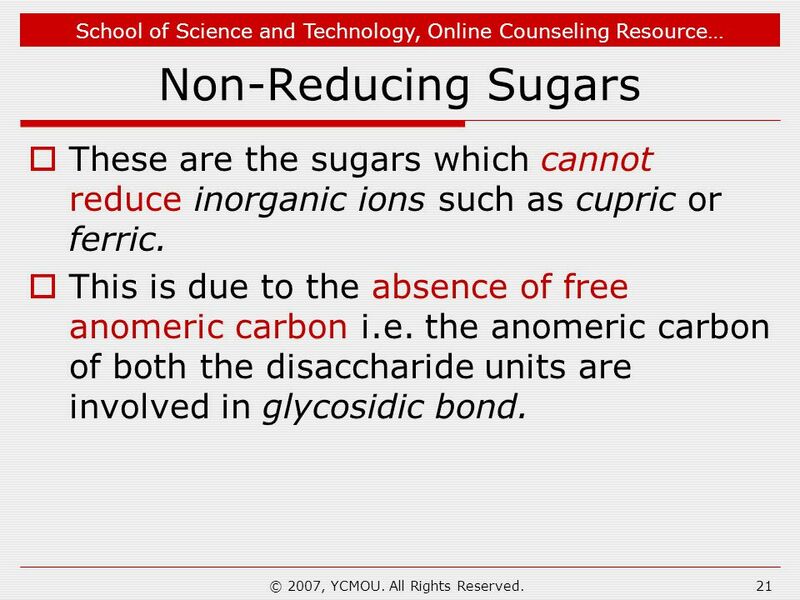 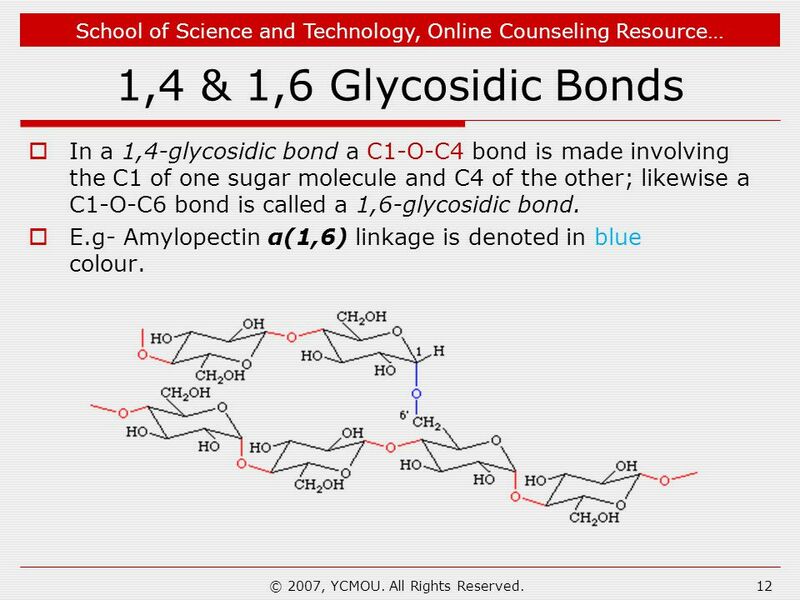 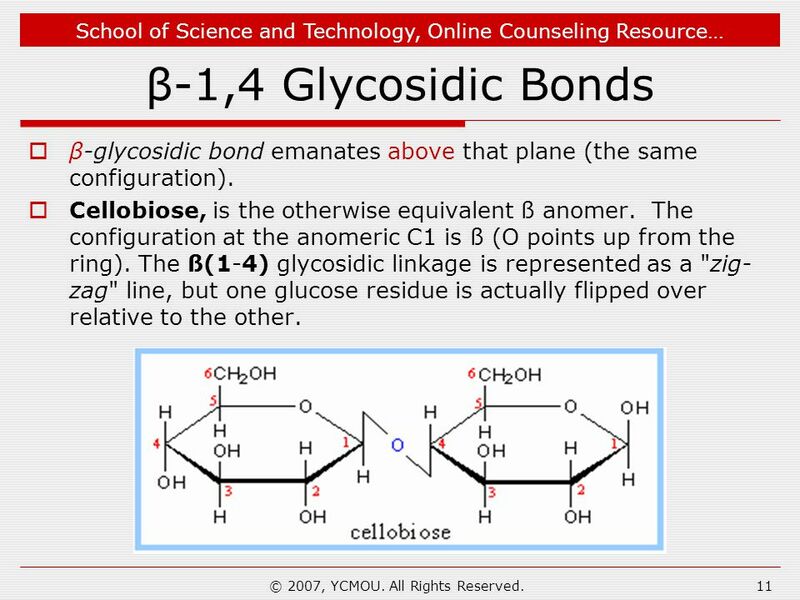 Describe various types of glycosidic bonds. 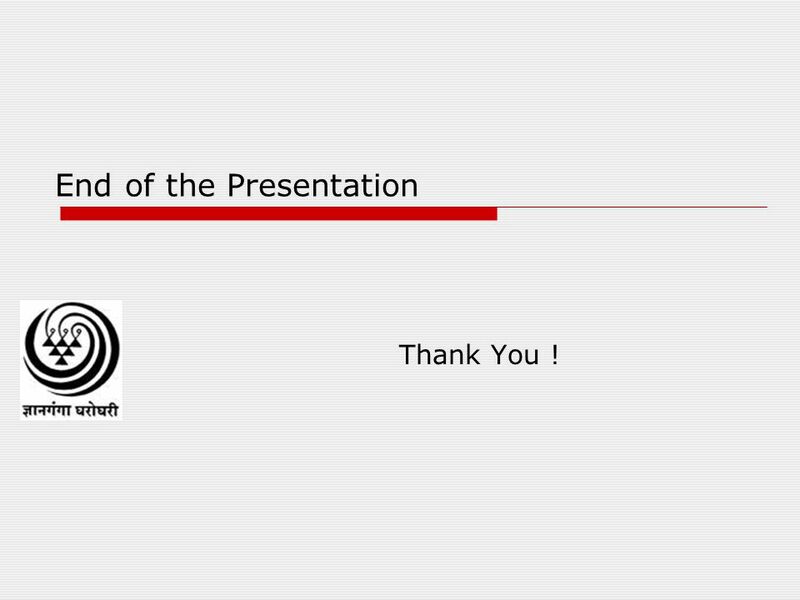 32 End of the Presentation Thank You ! 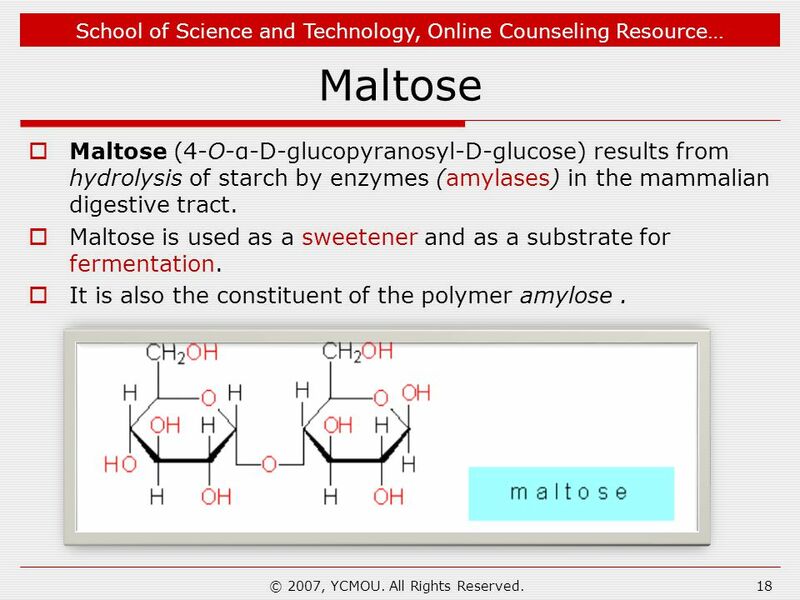 Carbohydrat Biochemistry AULANNI’AM BIOCHEMISTRY LABORATORY BRAWIJAYA UNIVERSITY. 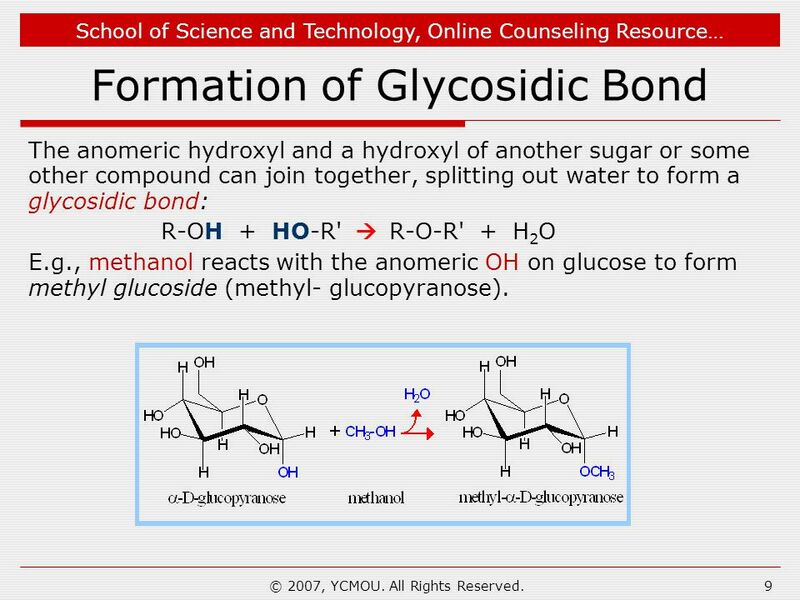 CARBOHYDRATE CHEMISTRY DR AMINA TARIQ BIOCHEMISTRY.